In this class we studied five types of birds: ducks, hawks, warblers, flamingoes, and doves/pigeons. 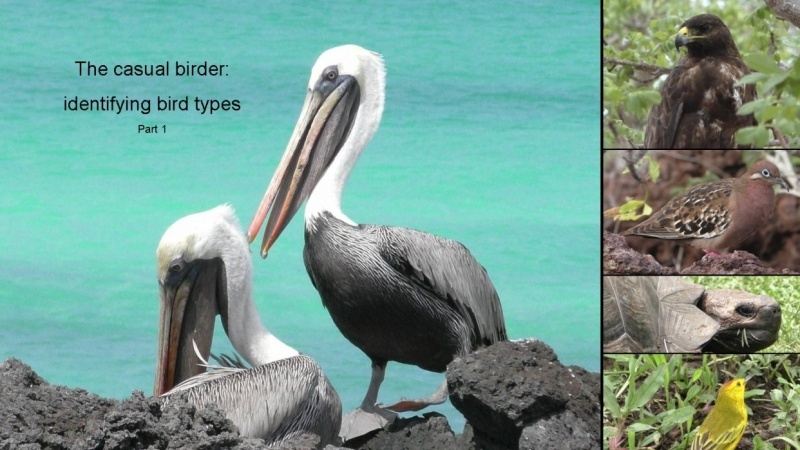 Now it is your turn to visit some local habitats and identify bird types. Habitat: What type of habitat is this? Location: Where is photo taken? At the bottom of the class video screen is a tab labeled Your Project. Select Your Project. Type in a title for your project at Project Title. Under Project Workspace, select the Upload photo Upload one of your photos. There is a 2MB size limit for each photo. Enter the identifying text. To save you some typing you can cut and paste the headings below. Select Create to save your project. Your project will be posted to the class' project gallery on Skillshare. Do share your enjoyment of this class with others. I appreciate your time working on this project and submitting it. I look forward to reading about which habitats you visited and seeing what bird types you found.